This platform game looks a bit like Lode Runner but it has a time restriction. 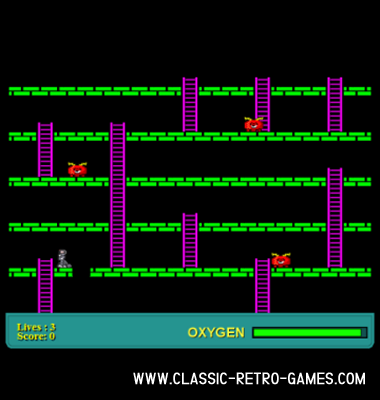 You must finish the level before you oxygen runs out. Crozza remade this Colecovision game for Windows PC. And it's free for you to download and enjoy playing! Currently rated: 3.9 / 5 stars by 19 gamers.